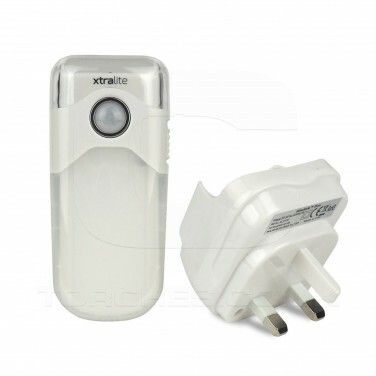 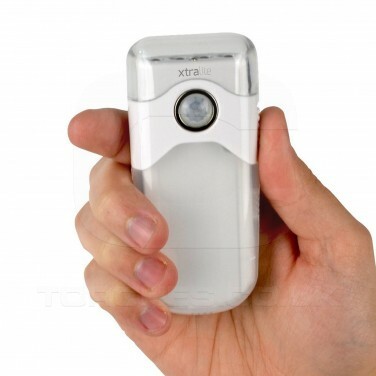 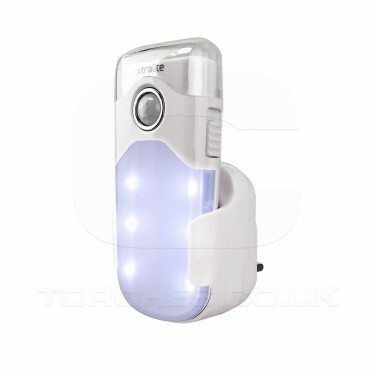 Practical and versatile, the Nitesafe Duo is not only a torch, but a plug in night light too! 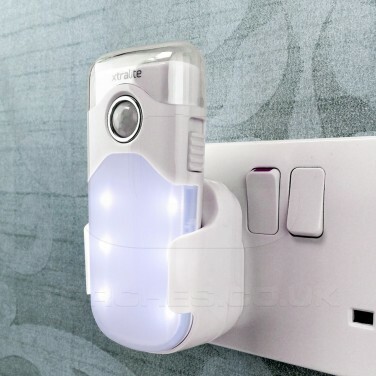 When plugged in, the Nitesafe Duo can be used as a dusk til dawn night light, or as a motion sensor night light switching on for twenty seconds when movement is detected. 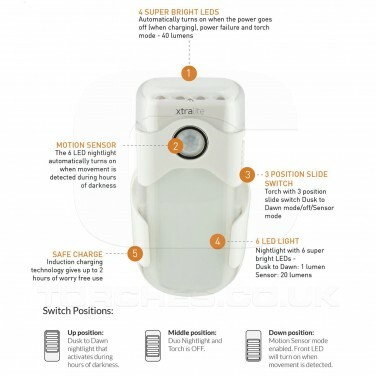 The night light is lit by six super bright LEDs that provide enough light to guide and reassure at night, but remove from it's charging cradle and the Nitesafe Duo becomes a handy pocket sized torch lit by four super bright LEDs that will shine for up to two hours per use. 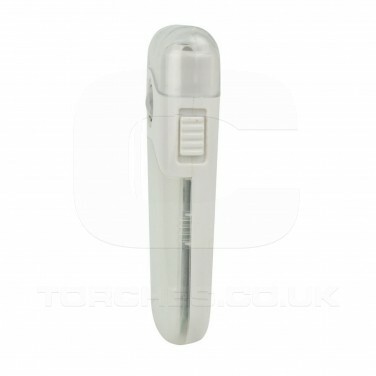 With a power failure function that automatically switches the light on for two hours use when power is cut, this practical torch is perfect for most situations.